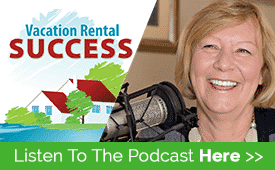 In today’s show we’re talking about Home Exchange and specifically vacation rental home exchange. This is not a new concept and has been around for a long time. In fact, fifteen years ago, before I got into the vacation rental business, my family did a home exchange with another family from California’s Sonoma valley. It was an amazing experience helped by the fact that we had a film crew from the BBC Travel Show with us for 4 days out of the 10 we were there. We would have loved to do this again, but the big drawback of exchanging then was the simultaneous nature of it. We had to want a vacation at the same time as the exchange family which was a little limiting. 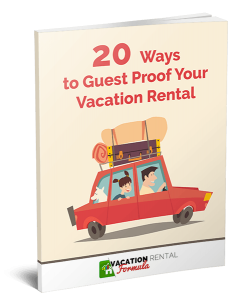 Now that we have a couple of vacation rentals of our own, and regularly rent places in other countries, I am intrigued by the idea of doing another exchange…..but this time with owners of other rentals so we don’t have to vacation simultaneously. So, when I heard about IVHE, International Vacation Home Exchange, I wanted to know more. My guest on this show is the Executive Director of International Vacation Home Exchange, Larry Klimczyk and he describes exactly how it works, how it’s a great model for second home owners to tap into and what you should do if you want to earn credits from your vacant weeks. If you have a question you’d like answered on the show, pop on over to my voicemail page and leave me a message. I would like to include an owner question or two to feature on future shows so let me have yours! Thank you Heather for a great interview, very informative. Home Exchange is such a great concept and works particularly well for 2nd home owners who want to visit other places. I thoroughly recommend swapping homes for a vacation. Thanks Lynn I appreciate your feedback. Let me know if there are any topics you’d like me to cover.